What is a Yamaha APEX? Browse Yamaha APEX Snowmobiles for sale on SnowmobileTrader.com. View our entire inventory of New Or Used Yamaha Snowmobiles. SnowmobileTrader.com always has the largest selection of New Or Used Snowmobiles for sale anywhere. Ride the 2018 Yamaha Apex and you'll see how effortless and precise the speed comes with the addition of the new Yamaha Reactive Suspension System (YRSS). Order before April 15, 2017 - Spring Power Surge exclusive! 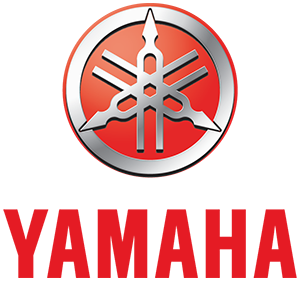 Top Features Electric Power Steering: Yamaha was the first and still the only manufacturer to offer Electric Power Steering to the snowmobile industry. The velocity sensing system delivers maximum assistance at slow speeds to nearly zero assistance and high speeds. Aside from dramatically reducing steering effort, the system reduces negative feedback, helping isolate the driver from unwanted steering effort. SingleShot 146 Rear Suspension: The SingleShot rear suspension features a drop-link rear suspension linkage, unique geometry, and a significant weight loss over older Mono Shock designs. The dual arm, fully-coupled suspension features inside the rail coupling blocks, an easy to use track tensioning system, and a reduction of 9-pounds less the previous 136-inch mono suspension…all while delivering exceptional ride quality, float and control in rough terrain. 1.75-Inch Backcountry Track: Representing the latest in track technology, the Camoplast 146 x 1.75-inch Backcountry blends the lines between on-trail performance and off-trail traction and flotation. The unique lug pattern and mid-sized lug-height delivers the perfect balance of deep snow traction and on-trail durability and control. Genesis 998cc 4-Cylinder Engine: The high RPM Genesis 998cc 4-stroke is one of the most sophisticated engines to ever power a snowmobile. The quick revving four-cylinder engine is incredibly smooth and linear in its power delivery. Year after year, the 998cc delivers the perfect combination of power, fuel efficiency, and durability while producing the sweetest sound in snowmobiling. Our we don't want to store it over summer price, sorry no trades please. Call 262-284-5995 to get it reserved! TESTED UNIT ON IT 2-13-19 FOR 40 MILES!THE HIGH TECH APEX SE IS THE FIRST TRAIL SLED WITH ALL-AIR SUSPENSIONS, EPS AND PERFORMANCE-ENHANCING EXUP TECHNOLOGIES! Our we don't want to store it over summer price, sorry no trades please. Call 262-284-5995 to get it reserved! TESTED UNIT FOR 40 MILES ON 2-1-2019! THE HIGH TECH APEX SE IS THE FIRST TRAIL SLED WITH ALL-AIR SUSPENSIONS, EPS AND PERFORMANCE-ENHANCING EXUP TECHNOLOGIES! Apex MTX SEAPEX MTX SE AN ANNIVERSARY GIFT TO THE MOUNTAIN RIDER.With it’s high torque Genesis® 150FI engine and high flotation 16-inch wide Camoplast® Maverick™ track, the Apex MTX SE is a hill-climbing, powder-carving son-of-a-gun. Lightweight Fox™ FLOAT™ shocks up front make the SE package even sweeter. 2008 YAMAHA APEX LTX GT, 2008 Yamaha Apex LTX GT, low miles and great condition. You won't a more fun or powerful sled. This great deal comes with a ton of features such as fuel injection, reverse, heated grips with thumb, and legendary Yamaha reliability. Come check it out today! We have a nice Yamaha Apex GT available, studded with tunnel protectors and with extra tall windshield. electric start/reverse Give us a call for more information. 2007 Yamaha Apex RTX With Reverse, 3536 miles. Two owners. 1000 CC inline 4 cylinder motor, 150HP, fuel injected. FOX float front shocks, rider forward design. Reverse, electric start, electronic fuel gauge and tons of torque! Apex ERThe Total Snowmobile Package For Serious Trail RidersStep aboard the all-new Apex ER. In command with rider-forward positioning, your legs fit into a natural action-ready position to ride out stutter bumps or play in the twisties. Command? Throttle, please. Tap into 150 horses unlike any ever seen in snowmobiling. Genesis™ 150 fuel-injected four-cylinder, four-stroke power. Broad, smooth...with instant-on response. Under you is a mogul-absorbing Mono-Shock™ RA rear suspension with remote adjuster dial and HPG front shocks that let you handle all the day’s trail conditions. See all the Features & Benefits to learn why the Apex is the total snowmobile for serious trail riders.Apex ER... all new, all Yamaha.